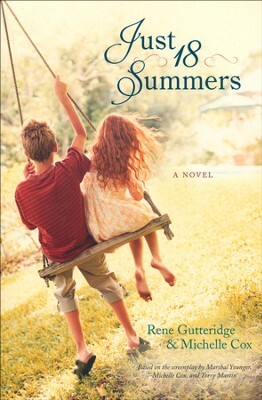 Just 18 Summers is definitely on my top 10 list of must read books! At times I laughed so hard I had to read excerpts to my family so they’d understand why I was laughing. At other times I cried tears of sorrow, of joy and of understanding. Four families in the story each tell their side of the parenting world and the struggles of raising kids for 18 summers from birth through adulthood. The book tells the story of how one life touches so many others and the best preaching that ever happens is what a Christian lives out every day in normal circumstances. Jenny Browning may have never known the incredible impact she had on the people in her life but through their stories, each person tells how Jenny touched them and pointed them to God. Butch never intended on being a single parent but life threw him into parenthood with a beautiful little girl, Ava and the loss of his wonderful wife, Jenny. Butch does the best he can with pizza dinners, but he’s missing so much more than cooking lessons. His daughter becomes his teacher and he finds 18 summers goes very fast. Beth has prayed over her children every day of their lives. She’s asked God to give them spouses who are of His choosing. Beth has trusted the Lord all of her life, at least she thinks she’s trust Him until her faith is tested. When Beth’s daughter announces she’s marrying a pizza delivery boy, Beth falls apart. This was never in her plans for her daughter, Robin. As Beth realizes she’s tried to protect her children from anything hurtful or harmful, she also realizes she’s tried to control them out of God’s plan for each of them. Beth finds that 18 summers has flown by before she realized it and she never taught her daughter everything she could to make the perfect choices in life. Daphne is pregnant with her first baby and she’s determined to do it right. She finds every book on pregnancy, parenting, and child care that she read. With all of the planning she’s doing, she finds herself in a place where she’s not trusting God for her life or the life of her child. Slowly in her psychotic planning and preparing, Daphne has alienated her husband, Tippy. Charles and Helen have the perfect life. They dress perfectly, live in the perfect house, have perfect children, or at least it appears like that from the outside. Helen wants to give her children everything and Charles is driven enough to make that happen. But in all of their perfection, they are realizing 18 summers with their children is not something they can buy. Each family faces their own trials and tribulations but all come to realize 18 summers is all they’re going to have with their children. Just 18 Summers is a fantastic read! I cannot say enough great things about the book. However, I can say that I’ll be adding books by both Rene Gutteridge and Michelle Cox on to my to be read list. I received Just 18 Summers from the Book Club Network and Tyndale Publishing in exchange for my honest opinion.